know, My daughter, that the entire Holy Trinity finds Its special delight in you, because you live exclusively by the will of God. No sacrifice can compare with this. 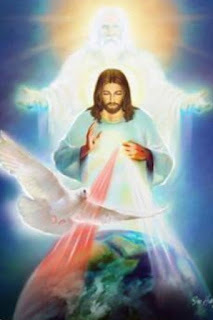 956 + After these words, the knowledge of God‟s will came to me; that is to say, I now see everything from a higher point of view and accept all events and things, pleasant and unpleasant, with love, as tokens of the heavenly Father‟s special affection. 957 The pure offering of my will will burn on the altar of love. That my sacrifice may be perfect, I untied myself closely with the sacrifice of Jesus on the cross. When great sufferings will cause my nature to tremble, and my physical and spiritual strength will diminish, then will I hide myself deep in the open wound of the Heart (301 ) of Jesus, silent 235 as a dove, without complaint. Let all my desires, even the holiest, noblest and most beautiful, take always the last place and Your holy will, the very first. The least of Your desires, O Lord, is more precious to me than heaven, with all its treasures. I know very well that people will not understand me; that is why my sacrifice will be purer in Your eyes.